Here's a little taste of summer now that school has started back up. I have been going to Wildwood every summer since birth. It isn't the classiest, or fanciest, sea-side town in New Jersey, but it hold a special place in my heart. 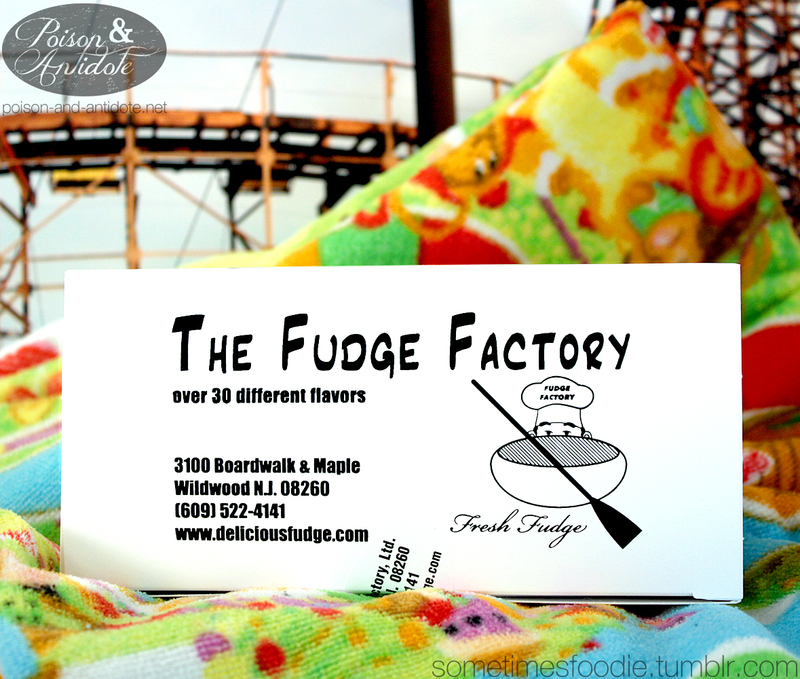 Over the years I have tried every fudge shop on the boardwalk and I think Fudge Factory is the best. It is the only place I ever buy fudge from. The shop isn't fancy by any means, it looks just like all the others. It's the actual fudge and it's flavors that make this shop stand out. Today I'll be reviewing the Amaretto Swirl. I love amaretto, I have a bottle of Disaronno that is the size of a large infant sitting in my kitchen right now, and after sampling this fudge a few years ago I am hooked. Amaretto and chocolate? It's a winner. 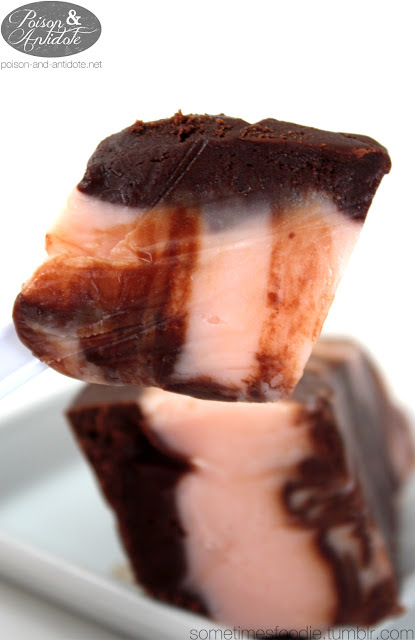 Separating the flavors, the chocolate fudge is very flavorful and creamy. It has some nice milk chocolate notes with a hint of cocoa powder. It is really yummy, but it's a typical chocolate fudge. Nothing too fancy. 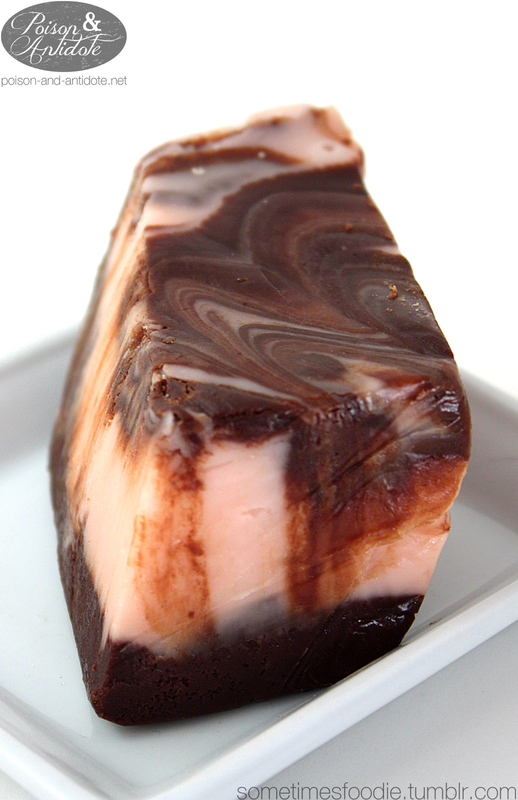 It's the pink tinted amaretto fudge that won me over. It starts out tasting sweet with a hint of vanilla and melts into delicious almond-y goodness. Combined, it is absolutely delicious. Almost like an amaretto cordial.